This promotion has now closed. Halo Top released 1,500 trackables into the great outdoors. (No ice cream was harmed in the process.) 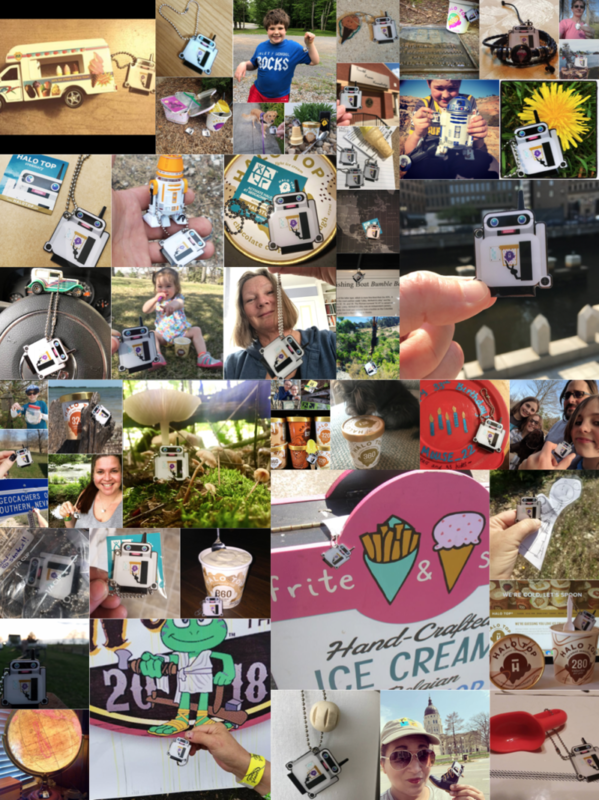 Get in on the adventure by searching for our Halo Top Robot trackables in a geocache near you. We will randomly choose 1,500 people to receive trackables. Fill out this form to request one. Filling out this form does not guarantee that you will receive a trackable. United States only. This form closes in [##] days, [##] hours. You must sign into your Geocaching account to request a trackable. Who hasn’t dreamed about finding hidden treasure or wondered what it would be like if the food you loved was magically good for you? It’s safe to say that most of us gave up on those ideas some time around adolescence. Halo Top and Geocaching think that’s a shame, so we’ve partnered up to give people back some of their childlike wonder. 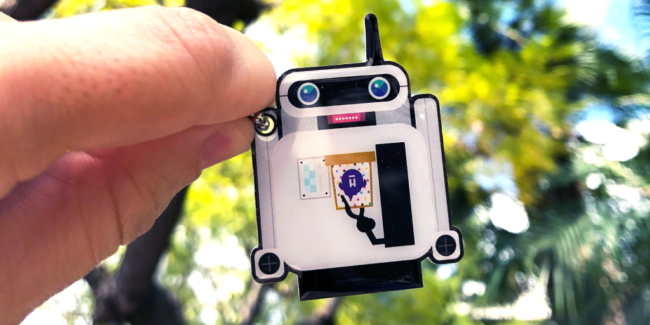 Rediscover your own neighborhood through the lens of geocaching and find a fun Halo Top Robot trackable along the way. 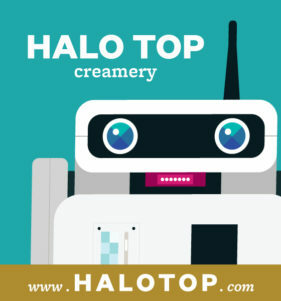 Find a Halo Top Robot Trackable Near You! Win Ice Cream, Halo Top Merch, and a Geocaching Premium Membership! To enter, find a Halo Top Robot trackable and share a photo of you and your new robot friend on Facebook, Instagram, or Twitter using #cacheusifyoucan and #sweepstakes. 50 Winners will receive ice cream coupons, Halo Top merchandise, and a Geocaching Premium membership! For more information, read the the contest details and rules.